When Oat and Bee came back from their recent trip from Mexico they brought back a gift for me. 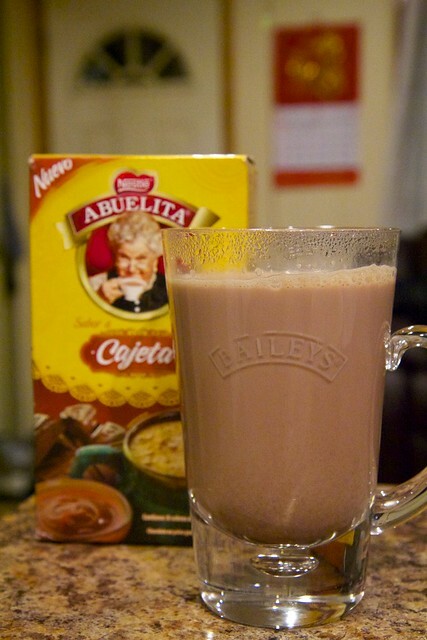 I really enjoy Abuelita hot chocolate since I discovered it on a trip to the states years ago. Knowing that, they brought back a caramel flavoured one for me to try! I could really taste the caramel in it and it was super delicious. I loved that it came in individual packets too. This entry was posted on March 18, 2012 by debbe. It was filed under 365, Food, Friends and was tagged with abuelita, abuelita hot chocolate, caramel, Food, hot chocolate.